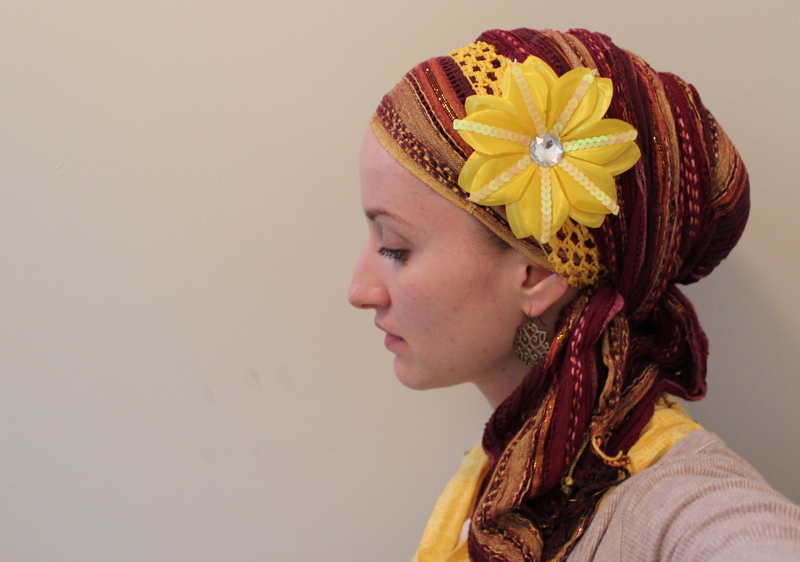 I can’t even tell you how many compliments and smiles I got just by wearing this bright flower on a sunny day. Yay for making people happy! Others seemed to think that this was a very complicated wrap, but really, it’s only a regal wrap with the stretchy flower headband added in. Will definitely be doing this style more often! This stretch scarf matched my turquoise skirt beautifully! 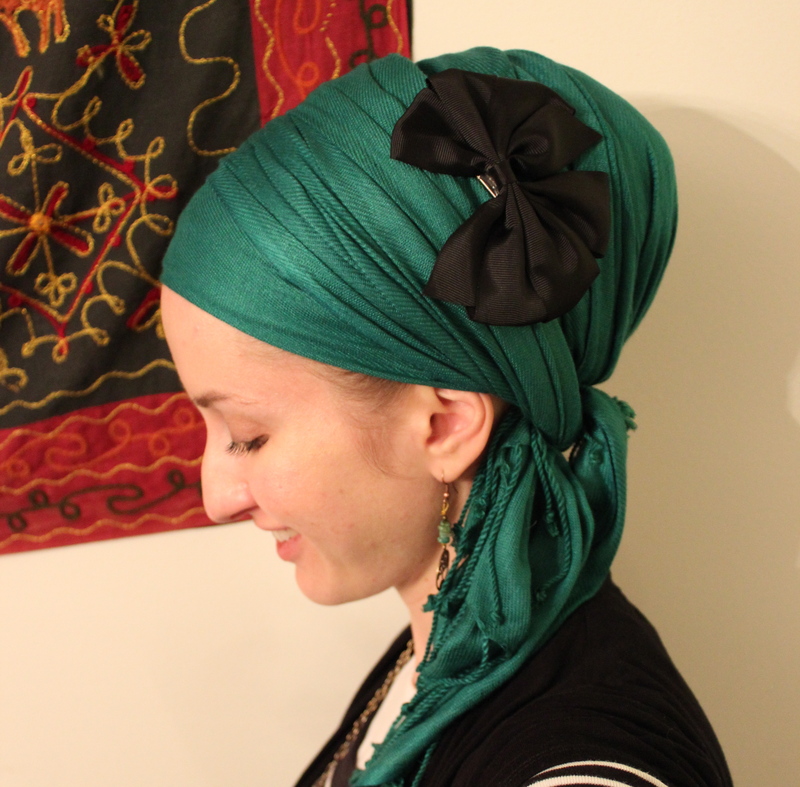 You can find a detailed tutorial on how to do this wrap (and many variations) here. My favourite colour is turquoise/teal tones, so today I was definitely wrapped in my colour of choice! 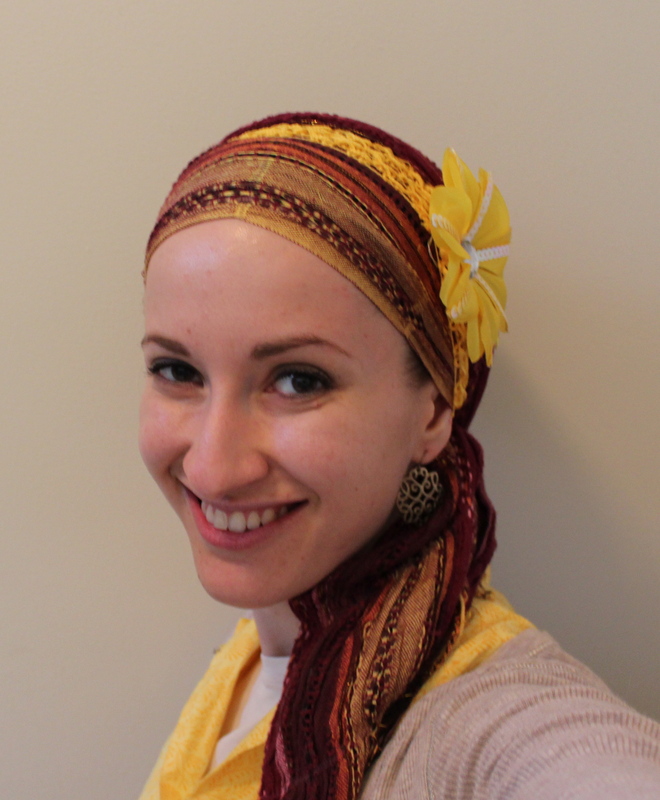 This wrap was done in a hurry, and is a haphazard version of the layered volumous regal wrap style, except I only used two long scarves. Even though the look is sloppy, I got many smiles and compliments throughout the day!